Sen. J.D. Mesnard told the Arizona Capitol Times that Ducey is in for a long and bumpy ride this legislative session after the governor vetoed a bill, backed by all but one Republican lawmaker, to offset estimates of higher tax collections this year by roughly $150 million or more. A Republican lawmaker wants the state to hire a private company to oversee and administer Arizona’s voucher program and wants State Treasurer Kimberly Yee, not the newly elected Democratic superintendent, to choose the vendor. Republican lawmakers Tuesday balked at Gov. 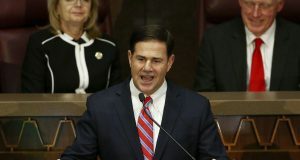 Doug Ducey’s plan to keep tax conformity out of his executive budget and then squirrel away its potential revenue windfall into the state’s rainy-day fund. 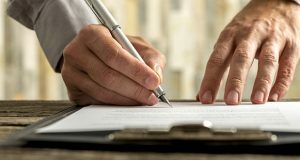 HB 2083 would spell out that the English language version of any policy governs any dispute between insurance companies and their customers, even if a version in another language prepared by the company says something else. It would, however, require that there be a disclosure on the non-English version that it has no binding effect, no matter the difference. 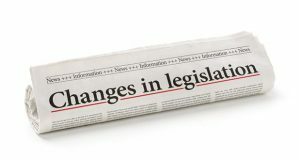 Rebuffing claims it will harm some low-income individuals, a Senate panel agreed yesterday to increase the amount of liability insurance that motorists must purchase to drive on Arizona roads.